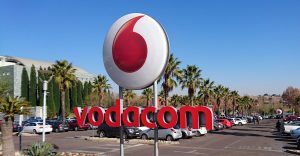 Vodacom says it is currently reviewing its pricing and will communicate this on the planned launch date this Friday. The mobile company has come under pressure as consumers vented their anger on social media regarding its planned charges to consumers of up to R49 to roll over data. MTN and Telkom says they will not charge roll over fees to their customers. From Friday this week consumers will be able to roll over data to the following month according to new rules implemented by the Independent Communications Authority of South Africa (Icasa). Icasa also lashed out at Vodacom’s proposed roll over price charges. The post Vodacom reviews pricing appeared first on SABC News – Breaking news, special reports, world, business, sport coverage of all South African current events. Africa's news leader..